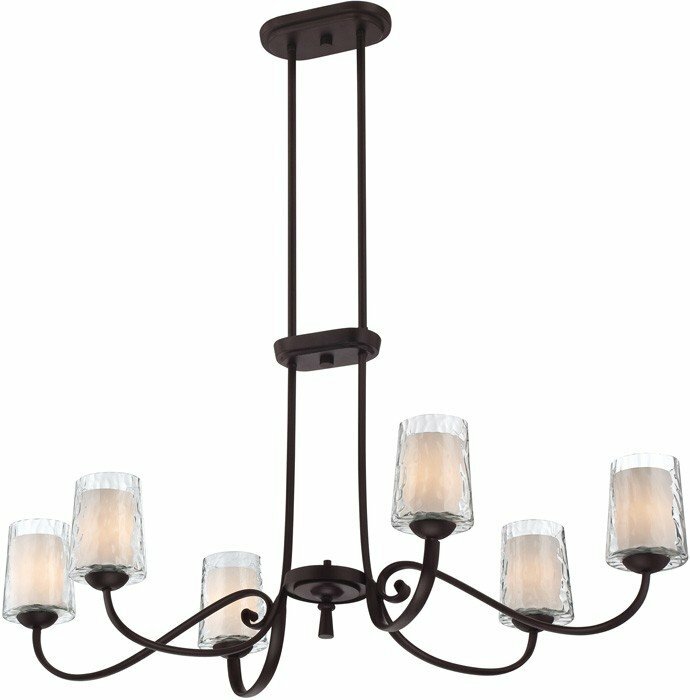 The Quoizel ADS639DC Adonis collection Chandelier Lighting in Dark Cherry uses Incandescent light output and brings Transitional style. 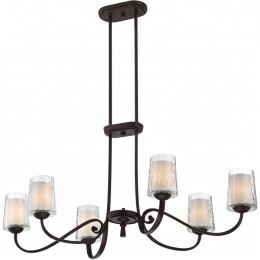 This item is 19"H x 39"W x 19.5"L. The wattage is 60. 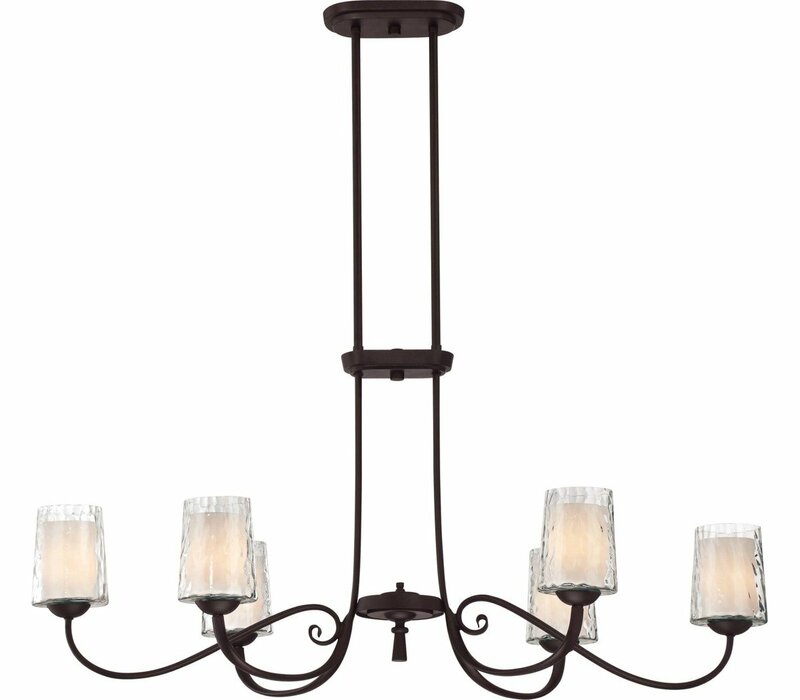 The Quoizel Lighting ADS639DC requires 6 bulbs (not included). Additional Information: Shade-Clear Water Glass.